This is another one of those posts that I have been writing in my head for years. 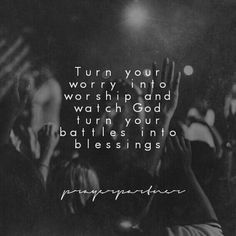 I believe addiction, worry, and worship are interchangeable words. This is not a new idea. I’ve seen the “Exchange your worry for worship” memes and even reposted them. I still want to flesh it out—perhaps only so I can “know what I think once I see what I say," as EM Forester once said. Ditching my smartphone for a dumb one has made this concept of addiction = worry = worship even more evident. I sincerely love God, and I am trying my best to work on my “stuff” alongside you. But my loving of God doesn’t negate the fact that I’m still in my pre-heavenly state (i.e. a sinner). I honestly didn’t believe I was addicted until it was gone. Only after it broke did I hear the inner metronome that whispered Check your phone every few minutes like a phantom limb. "The best way to tell if you are addicted to something is not...when things are going well, but when you are in trouble," Tim Keller said. "We are all in bed with something, but you can tell when it's taken away." When it was gone, I felt (feel) free. Younger. Less like my brain is wrinkling its eyebrows from the stress of posting, liking, commenting, and retaining information that is WAY TOO MUCH to retain. I also found I like people more as individuals. If I’m talking to you, I am really talking to you. If I’m with my kids, I’m really *trying* to be with them. (Emphasis on trying. I don't nail this.) If I’m commenting or liking your posts, I genuinely like them. Instead of half-engaging 5,000 things simultaneously, I am trying to engage less more deeply. It’s opening up more of my brain and heart to simply be and feel. But guess what? Being and feeling are terrible when avoidance is our usual mode of operation. Within days of ditching the smartphone, I found myself running to the freezer more frequently to eat cookies. I also found myself replacing phone scrolling time with worrying about life. Worrying is a form of worshipping my problems. I am made to worship. I am made to be addicted—to one thing. Not God and my phone. Not God and sugar. Not God and fixing my life. It is only when I am addicted to (ie. worshipping) Jesus that the rest of my life is righted, including phone use, cookie eating, and healthily caring about my life. There is nothing intrinsically wrong with these things. When I avoid being the person God made me to be in the world he made me to live, that is when anything becomes a problem. Because then I am not living; I am escaping. I am floating. Those of us who are floating instead of living are neither a threat to the enemy nor an asset to the King. Because we are asleep. Satan doesn't have to mess with us, and God can't use us. When an evil spirit leaves a person, it goes into the desert, seeking rest but finding none. Then it says, “I will return to the person I came from.” So it returns and finds its former home empty, swept, and in order. Then the spirit finds seven other spirits more evil than itself, and they all enter the person and live there. And so that person is worse off than before. They are ready for whatever might come their way. Which, we slip into sin. We never slip into holiness. We cannot simply remove our phones, our sugary habits, or worry. Saying "Stop it" like Bob Newhart doesn't work. We are addicts. Let’s addict ourselves to the only one who can make us sober through worship of Him. Read: Every day I start with zero. I don’t wake up like, “Yay! Jesus and humans are great! I love not sleeping!” (I got two kids two-and-under and a job, ya'll.) I’m tired. But then I read and pray, and I feel a bit better. Not outrageously so, but a bit. I joked with one of my sisters this week that you don’t hear yourself “level up” like a video game when you read the Bible. You only see it when you respond peacefully in a situation where you did not before. Respond: Have you noticed an addictive behavior in yourself? Is it hard to name it as an addiction? Why? Have you ever removed a negative habit in your life, and then felt some other draw immediately? What helps you stay singularly addicted to/worshipping God? Wise words, Laurie, and once again so authentic. I appreciate your insight and found so much truth! "No one can serve two masters" as you quoted, but we can sure fool ourselves into thinking we can serve two, or three, or four. Addictions often do not feel like choices but they are and being addicted to our Creator is a choice we need to make daily. Thanks for sharing! Yes! I fool myself every day...trying to kid myself that whatever I am doing alongside worshipping God is "normal" and "fine." Not so much. Thanks! Thanks for reading! Wow! I just found and read this post. and I am... I don't even know how to put it... I feel like it is describing a part of me that really needs a voice. I've been being addicted to so many things (food, social media, entertainment, etc. ), but not God. Praise God. You are welcome! Thank you most of all for the "Next Right Step section. You are welcome, Laura! I just reread this one and felt that same *sigh* *ugh* conviction in my own heart. Jesus, addict us to you.